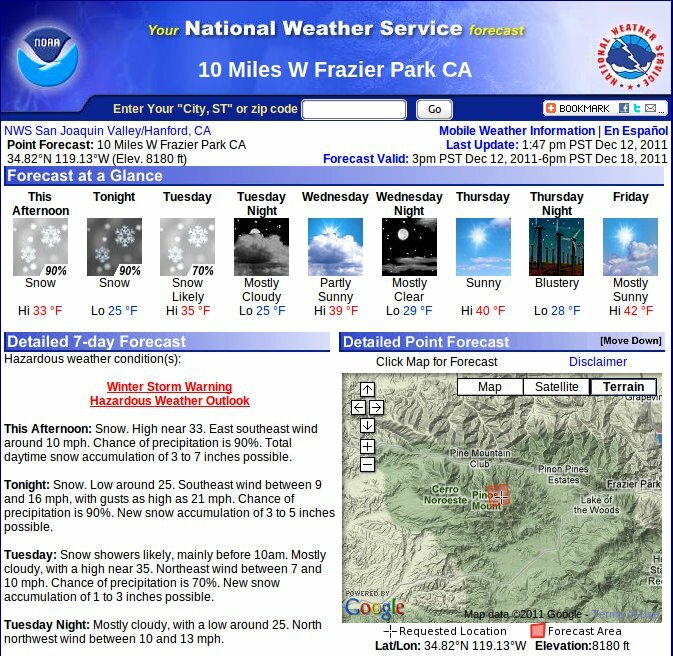 The latest weather forecast for Mt. Pinos has 7 to 15 inches of show occurring over the course of today and tomorrow. Dust off those skis!